Those involved in Start-ups have a conundrum. On the one hand, their WHY is usually to make a difference in the world and also to provide for their families. But their work is also taking them away from their families! 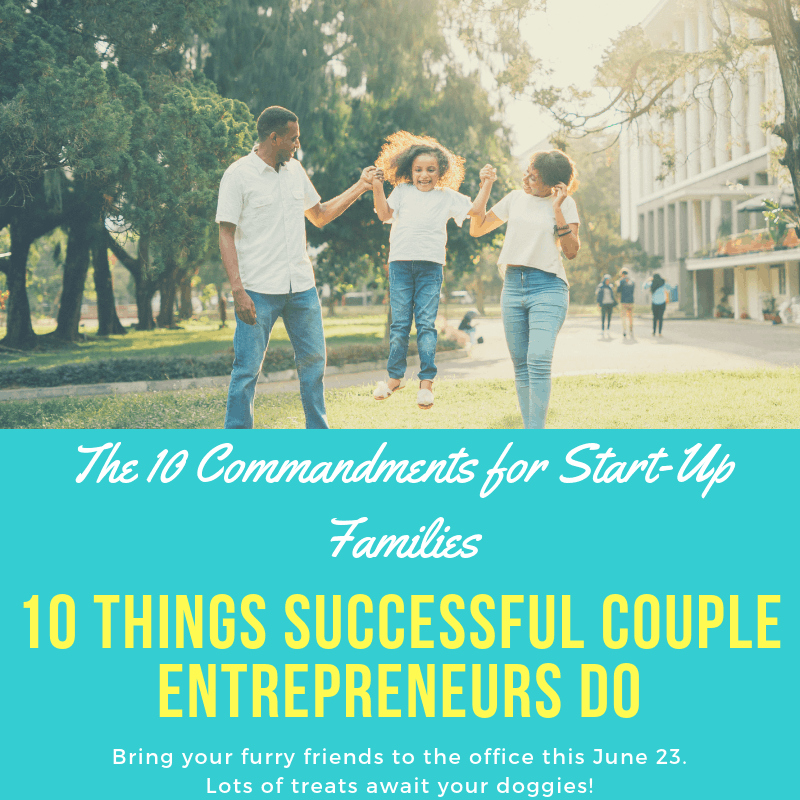 So how can couple entrepreneurs succeed both in their business and also be successful as a start-up family? 1. Save while you spend: Achieving a realistic budget to live on while you’re a start-up is difficult. On the one hand, you’ve been successful at raising investment money for your start-up and you feel like a million bucks as an entrepreneur that’s going to make it big one day. It’s easy to want to wear that badge of pride through luxury or expensive items that help you build your persona of success in and out. But the truth of the matter is- you need to be in save mode. One day sure, you’ll live the dream but right now, you need to scrimp on every possible expense that you can and save money rather than spend it. 2. You can’t both be unbalanced: As a start-up founder, you’re in a state of unbalance right now when it comes to work/life balance. Work/life balance might not even be on the table for discussion at this point. That’s okay as long as your spouse isn’t as equally unbalanced as you are. Someone has to take care of the kids, someone has to sleep, someone has to make the food that you need to eat- even if you don’t have time. You can’t both be unbalanced at the very same time. Whoever is more able to be on board with the needs of the family is the one that may need to step into that role for awhile while you are unbalanced. 3. Don’t fall past the point of no return: While you’re willing to sacrifice a LOT for your business to work, there are a few basic minimums that need to be met for your marriage. Ultimately, you’re going to know what those hierarchy of needs when you’ve crossed those lines; when you or your spouse feel utterly depleted and need strengthening again. Once you’ve crossed the threshold, work to ensure you don’t descend into that abyss again by establishing basic requirements for the both of you-for instance, intimacy once a month or a date night once ever 6 months (being extremely generous for a start-up founder)- don’t cross those lines. 4. Your marriage is more important than your start-up: You know it’s true but right now your start-up is taking precedence. That can be okay for you, especially as an entrepreneur that is able to balance a lot of things, but know that if push comes to shove and your business has to take a back seat, you’ll be willing to make that trade because ultimately you know what is most important. 5. Work while they play: You’ve got less time than other people so your time is going to need to be optimized to the hilt. Look over every ounce of time that you are spending on your business and decide if it is being maximized to the fullest. There are outsourcers, virtual assistants, and teams for a reason and you’re going to need to be able to learn to delegate anyways- as all successful leaders must- so start now. You already work while the rest of the world is playing at times so make sure it’s worth it because that could be family time. 6. Separate but together: Becoming comfortable with separateness can be challenging. 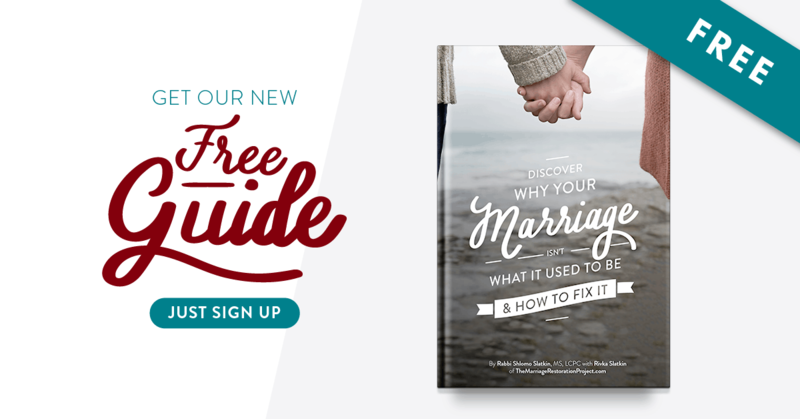 It might seem like your spouse is not who you thought they were when you first fell in love when they don’t seem to share your own innermost desires anymore. It’s not necessarily that you’ve grown apart but that you married an “other” with their own preferences, tastes, hobbies, outlets, and that’s okay. You can support and honor your spouse in their desire to feel fulfilled internally without feeling threatened that their outlets are tearing you apart. 7. Communication is key: You’ve heard it a million times and while you may be tempted to roll your eyes, you can’t be successful in your business if you don’t know how to communicate with others. That means not talking while your partner is sharing, not giving advice or judging what is being shared, rather getting curious to learn more about what they are saying and listening until what the other person is saying makes sense. Even if it only makes sense in their world, and it’s okay to disagree, you’ve got to get curious enough to listen without being threatened. Maintain healthy communication always and you’ve got a winning partnership. 8. Trust each other: As someone that’s married to their business, sometimes you’re so invested in what you’ve built that it can be hard to take in other people’s input. Your partnership with your spouse requires it. Your spouse was the one that stood aside and made it possible for you to build what you have and so if they begin to feel in their gut that the business may no longer be in a sustainable place or needs to go through significant changes, you’ve got to be able to trust that they know best. After all, your spouse was one of your best investment picks and so more often than not, they know what needs to be done along with you. 9. You are not your business: Before Oprah was rich and famous, she told Mike Wallace in a 60 Minutes interview that even if her show didn’t do well, she will still do well because the success of her show doesn’t define her success as a person. Your business success does not dictate your success as a person. There are always going to be ups and downs as you grow your business so don’t get despondent. A successful business owner feels good about his or herself regardless of the success of their company. It is that attitude that will allow you to continue forward and actually achieve the success that you are looking for. And your family needs you to have that attitude. 10. Turn to the experts: You can’t possibly know everything about everything and so when in doubt, turn to the experts. There are business coaches that know how to help you scale, there are marriage therapists that know how to fix a stressed marriage, there are many professionals that can help you and know more than you. Others have been in your situation and you don’t need to reinvent the wheel even though as an entrepreneur you may be tempted to. Be humble enough to know when to reach out and defer to their expertise. If you are a CEO or business leader and would like to finally capitalize on the initial investment that you made to your spouse and your marriage long ago, making huge gains in the short term that sustain you in the long term, talk with us about our private 2 day intensives for you and your spouse. Globally, business leaders are experiencing tremendous ROI both on their marriage and on their business when investing in this kind of key performance and productivity training.